Waterfront living on all-sports Lake Allegan! 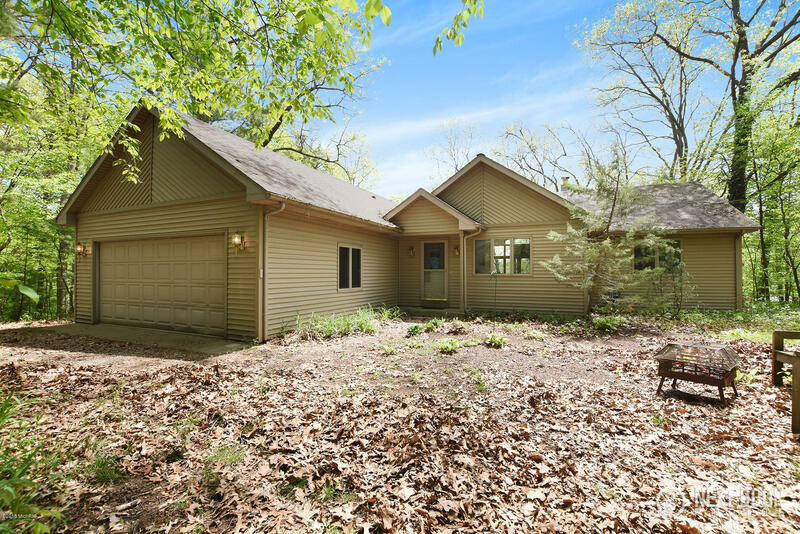 Nicely tucked away on a wooded lot in Lake Bluff Estates this custom built ranch has 6 bedrooms and 3 full baths and a finished walkout lower level. The fantastic open living floor plan is enhanced with an awesome view through the clear glass doors and transom windows, and the wood burning fireplace can help take the chill off a cool night. Outdoor entertaining will be enjoyed all summer long on the expansive deck across the back of the home. Down atthe waterfront you can swim, fish, or tie up your water toys off a 40' dock, and the Association has a private beach around the corner and that includes a gazebo and storage for kayaks and paddle boards. What a awesome home or cottage at very affordable price! Call Doug today for your showing (616) 403-7005.